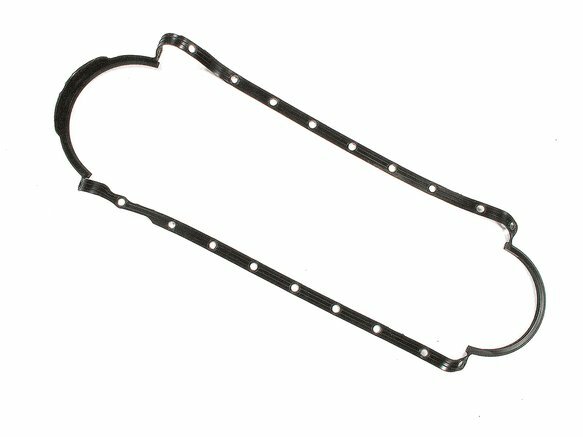 This 1-piece oil pan gasket is manufactured from molded rubber and fits Big Block Chevy 1991-2000, 454, 502. Chevy Oil Pan Gasket - 454-502 1991-00 Manufactured from molded Rubber gasket material. Provides excellent sealing and durability. For OE replacement and high performance street. **Molded rubber - 1 piece.